A small amount of plutonium and radioactive cesium went missing last year after two government security experts left the dangerous samples sitting in their SUV in a Marriott Hotel parking lot overnight. The specialists, officials from the Department of Energy’s Idaho National Laboratory, were tasked with securely collecting nuclear material from a non-profit research lab in San Antonio, Texas in March 2017, according to a report from The Center of Public Integrity released today. On their road trip to Texas, they brought with them a radiation detector and samples of radioactive materials for calibration of the device. During one of their stops along the route, their Ford Expedition was broken into as they slept in the hotel. They awoke to find that someone had smashed the windows and stolen the sensors and samples. The Center of Public Integrity uncovered the details of the theft by obtaining a police report based on an incident description in an Energy Department internal report. An Idaho National Laboratory report described the hotel parking lot as a secure location, but the Center of Public Integrity found that local police statistics show there were 87 thefts at that hotel and its parking lot in 2016 and 2017. The San Antonio police reportedly consulted the FBI on the incident, but neither organization made a public announcement. The police were not able to gather useable fingerprints, surveillance footage, or witnesses. Police also checked local pawn shops for the radiation detector and found nothing. A year later, authorities still haven’t tracked down the missing plutonium and cesium. The guards who were robbed were associated with the Los Alamos National Laboratory’s Off-Site Radioactive Source Recovery Program. 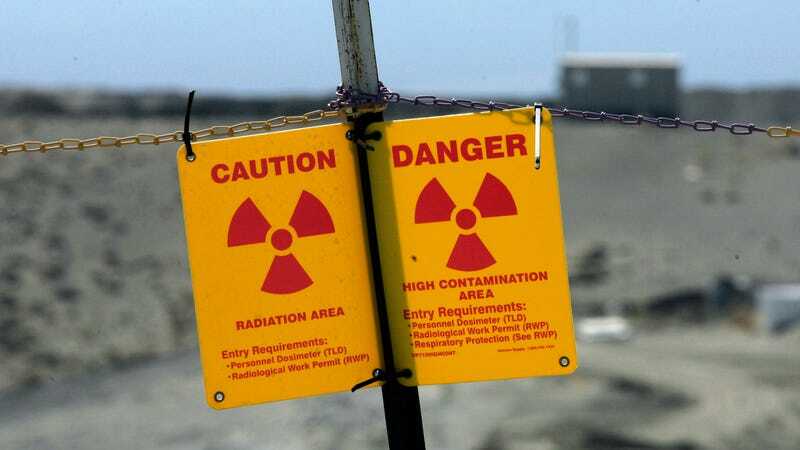 Over the last 19 years, the program has recovered more than 38,000 collections of radioactive material that had been used by civilian institutions across the country. It takes about seven pounds of plutonium to make a nuclear weapon. Idaho National Laboratory spokesperson Sarah Neumann told the Center of Public Integrity that the plutonium samples stolen were not enough to make a nuclear bomb. The San Antonio police department was reportedly shocked by the security experts’ carelessness in handling the samples. The guards “should have never left a sensitive instrument like this unattended in a vehicle,” San Antonio Police spokesperson Carlos Ortiz told the Center of Public Integrity. The Idaho National Laboratory would not tell the Center of Public Integrity if the guards involved with the incident faced any disciplinary action. But as the report points out, the Nuclear Regulatory Commission does administer fines for civilian groups that lose nuclear material. Most recently, the commission imposed a $8,500 fine to Idaho State University after it lost track of a gram of weapons-grade plutonium.